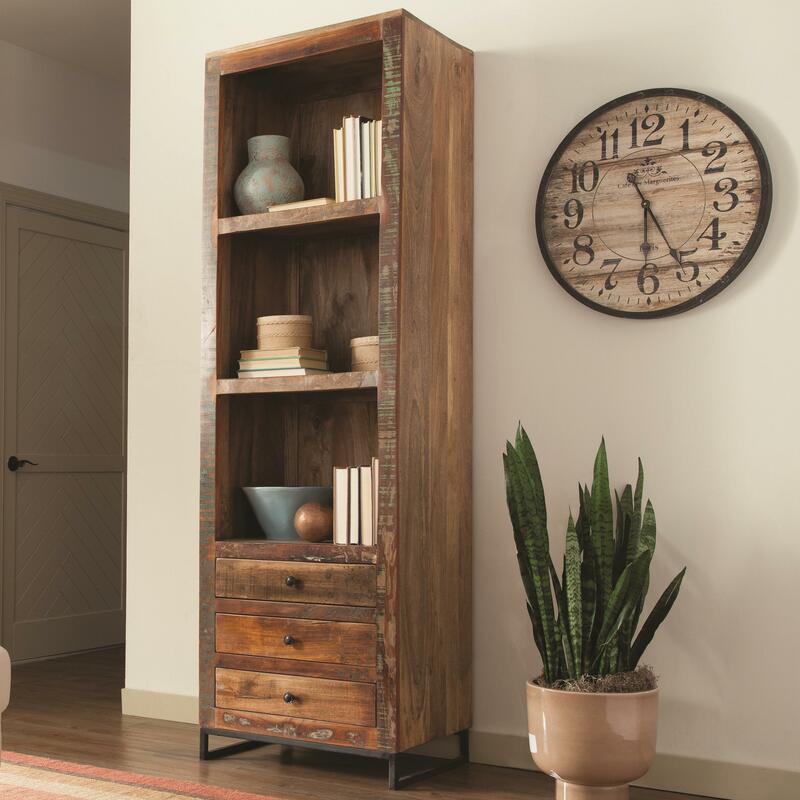 Display books, found objects and your favorite decorative accessories with this tall bookcase. The bookcase stands on a metal base and features three shelves and three drawers below. Constructed with reclaimed wood of acacia and teak, the finish is natural creating a beautiful unique piece. The metal ring pulls complement the rustic look of the bookcase. The Accent Cabinets Tall Open Bookcase by Coaster from Nashco Furniture - Nashville. We proudly serve the Nashville, Franklin, Brentwood, Clarksville, Green Hills, Davidson County, Williamson County, Tennessee area. Product availability may vary. Contact us for the most current availability on this product.